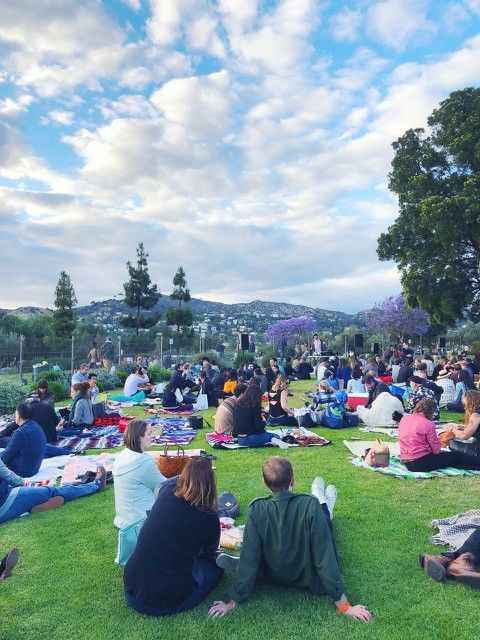 Barnsdall Art Park Foundation’s signature fundraising event, Friday Night Wine Tastings — a private ticketed event — returns to the Hill on May 31 through September 6. 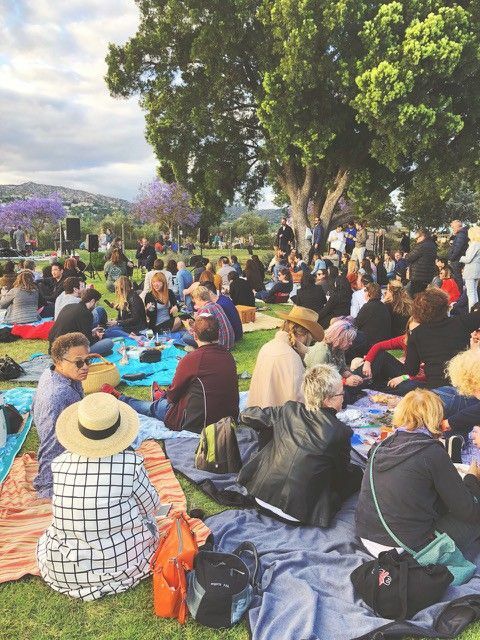 Barnsdall Art Park Foundation’s signature fundraising event, Friday Night Wine Tastings — a private ticketed event — returns to the Hill on May 31 through September 6. Now one of L.A.’s most treasured summer traditions, Barnsdall Art Park welcomes Angelenos and visitors alike (21 years and older) to sip wine, picnic and watch the sunset — with 360-degree views — for a not-to-be-missed season of wine tasting at this iconic cultural destination. Perched atop Olive Hill on the west lawn of historic Hollyhock House (which you can tour during the evening for an additional $15), the event includes fine selections of boutique wines provided by Silverlake Wine along with music presented by DJs. 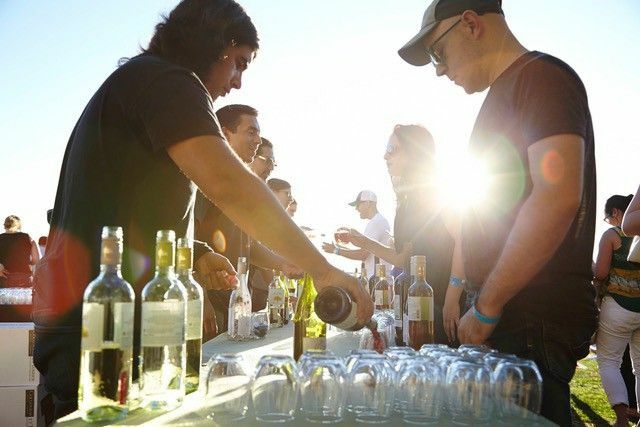 Attendees can bring along a blanket and a picnic basket, or just nosh on offerings from the variety of food trucks. This year will include several globally-themed evenings with matching food and wine. Proceeds support the park’s art programs and historic renovations. 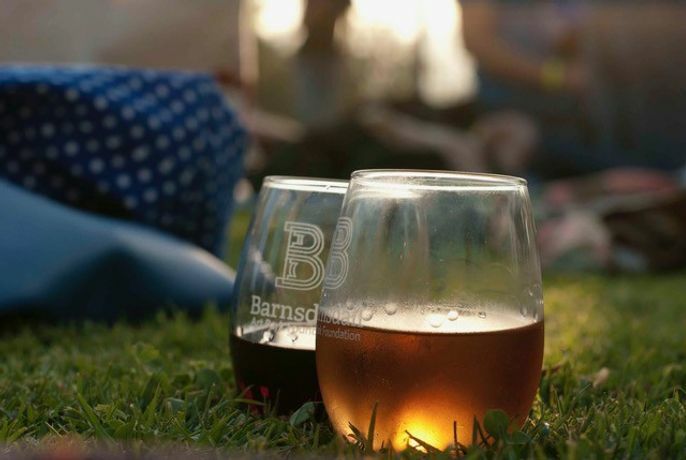 PLEASE NOTE: Friday Night Wine Tastings are a private event, ticketed and closed to the public. Alcohol is never allowed outside the permitted ticketed area. Located at 4800 Hollywood Boulevard, tickets are $35 per person with special Hollyhock House tours available for an additional $15.